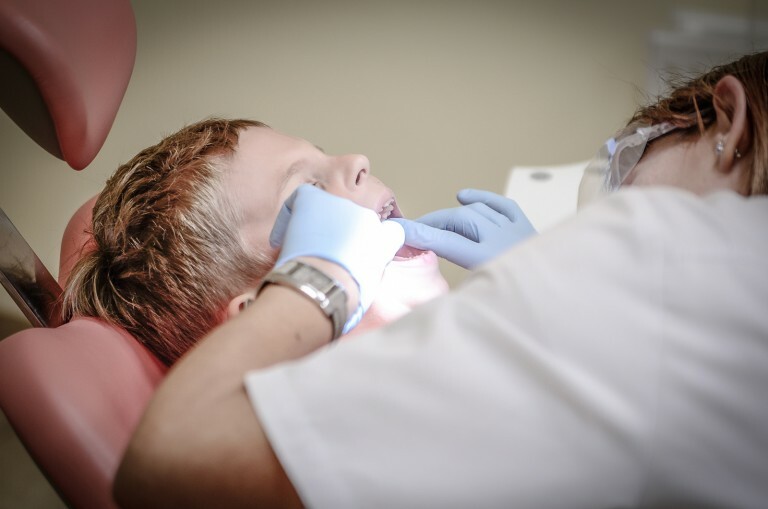 So, in this post, we wanted to share some things you might not know that your dentist is doing during your child’s routine cleaning or checkup. Smelling their breath. That sounds weird, right? But bad breath can be a symptom of several things including cavities, salivary gland issues, acid reflux, poor dental hygiene, or infection in the mouth, nose, or throat. Of course, the dentist isn’t going to announce that he’s taking a whiff, but he is, and he’s scanning for any early issues or warning signs. Checking for gum disease. While you think he’s just poking around in your kid’s mouth cleaning plaque, he’s also observing your kid’s gums and observing the gaps between the gums and teeth. A larger than normal gap between gums and teeth could indicate gum disease. Gums that are reddish or easily irritated could be the result of gingivitis. Looking at tongue health. Consistent sores on your child’s tongue can sometimes indicate a vitamin deficiency, so if your dentist notices anything unusual on your child’s tongue, he’s going to ask some follow-up questions, just to make sure that all is well. Studying the layers of the teeth. X-rays enable your dentist to see the inside layers of the teeth: the dentin and the cementum. He probably took a look at those x-rays and your child’s medical history before coming in to sit beside your kid, but just know, that that is happening behind the scenes. Observing your child’s jaw and bite. Children’s teeth shift as they grow, and your dentist is keeping an eye on the growth and alignment of your child’s bite structure. If your kid has braces, the dentist is also checking to make sure that the teeth are shifting appropriately. That’s a little “behind the scenes” peek at what some of the less noticeable things going on during your child’s routine cleaning. We take your trust seriously and want to make the most of every appointment. If you’ve been meaning to schedule that check-up for your child, we’d invite you to come celebrate National Children’s Dental Health month with us!